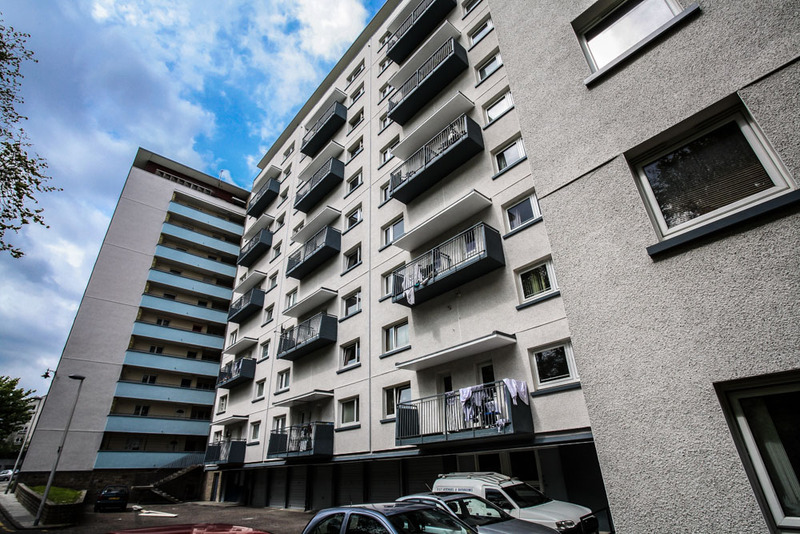 Dumbiedykes Residential Flats saw CRL, and its facades division CRL Facades, undertake one of its most ambitious projects to date with the external refurbishment and insulation of two ten storey tower blocks. 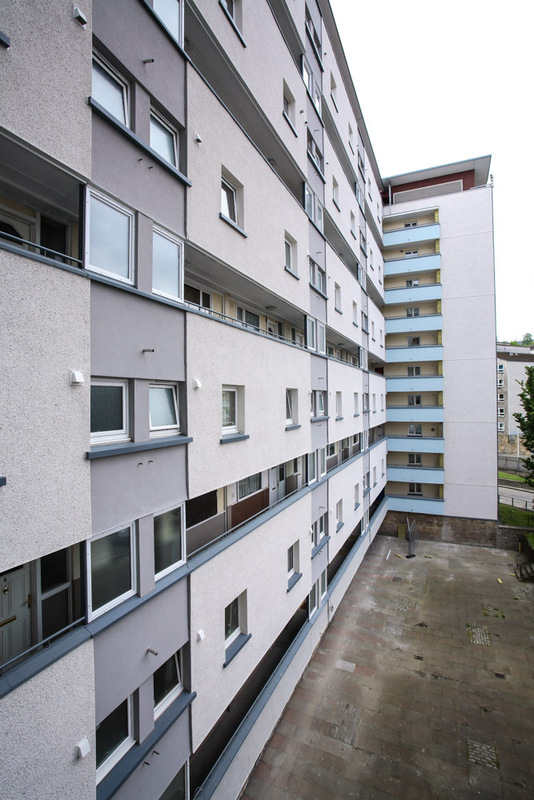 The flagship project near the Scottish Parliament building in Holyrood was part of the Edinburgh Social Housing Scheme for the City of Edinburgh Council. 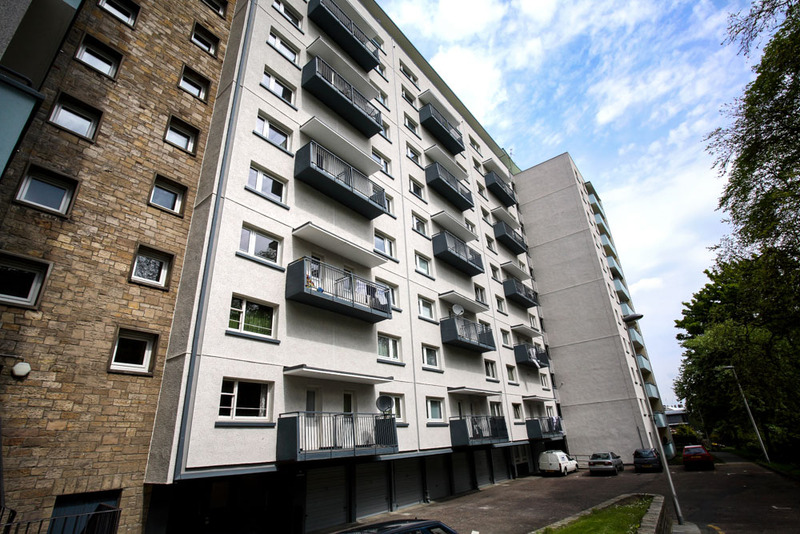 Access to carry out the works was for the most part achieved through the use of mast climbing platforms, allowing CRL access to all external areas of the building whilst minimising the problems of security that traditional scaffolding can cause. 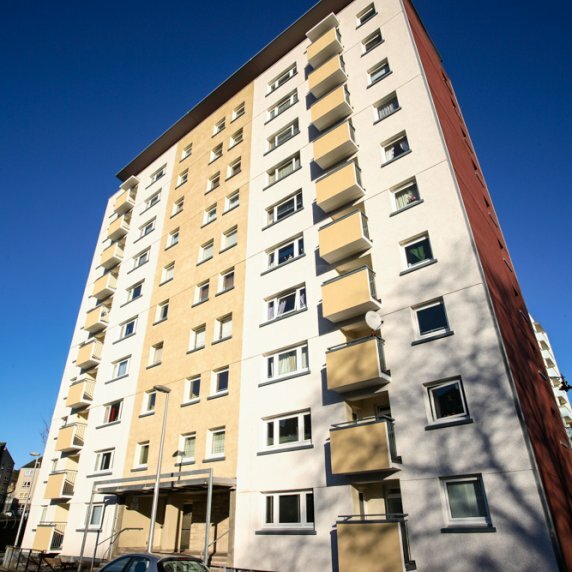 On the external facades CRL installed an insulated render system on the elevations which were already rendered and for the brick elevations cavity wall insulation was installed with new brick ties. 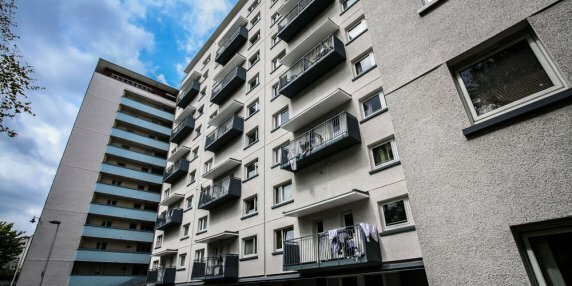 The balconies were waterproofed with a liquid applied membrane, the hand railing were replaced and new windows were installed to the common areas. 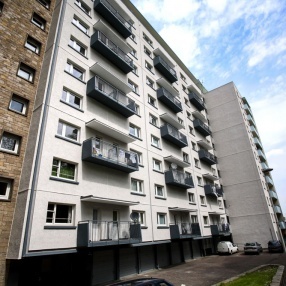 Internally CRL installed new ventilation extractor fans and retiled the kitchens and bathrooms. 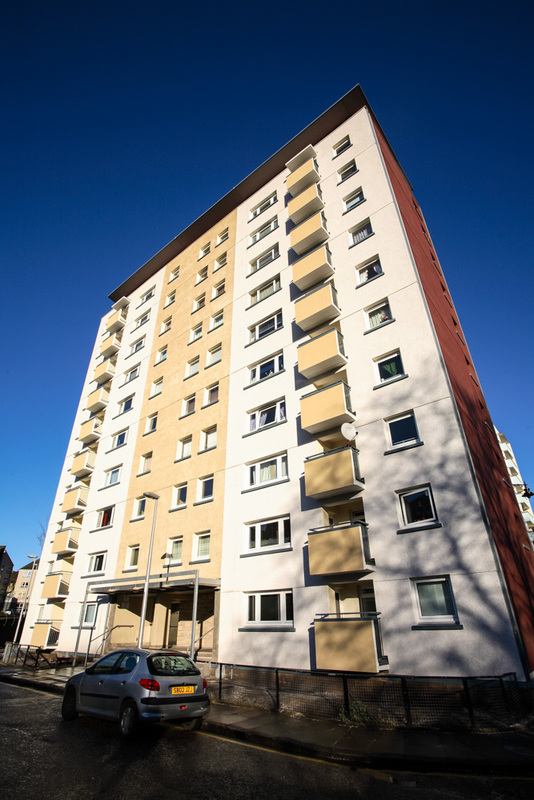 Two flats on the top floor were fitted out with new kitchens and bathrooms as a pilot scheme for future work. The original roof was a copper faced roofing felt. 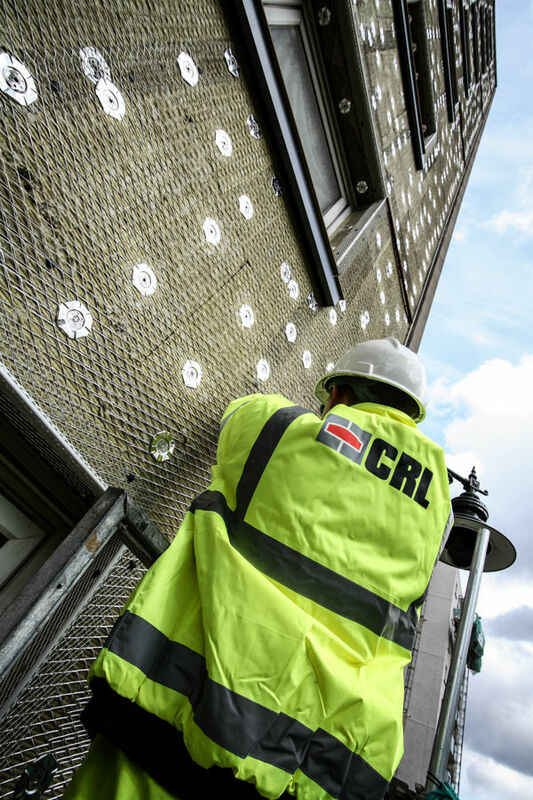 To minimise the risk of water penetration whilst the roof was re-waterproofed CRL proposed the use of a liquid applied waterproof membrane fully bonded to the original roofing felt. 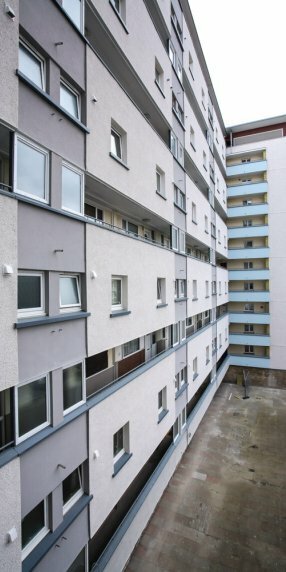 This minimised waste and eliminated the need for a temporary roof whilst the work was undertaken. 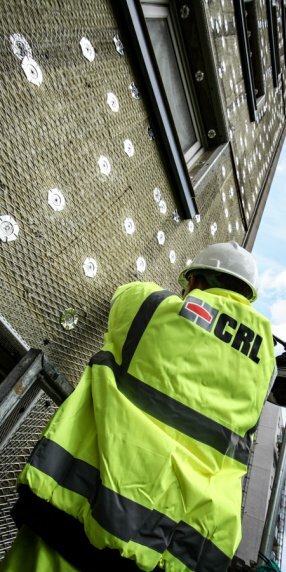 CRL were also able to colour match the new membrane with the original copper felt. 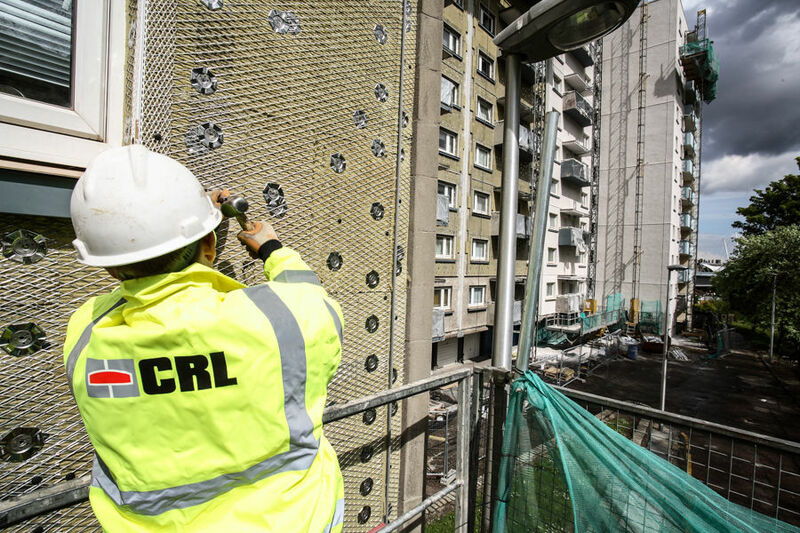 The successful delivery of the project came from the commitment CRL had to carrying out the majority of the specialist works using its own directly employed workforce recruited from the local community, allowing concise quality control of the works.